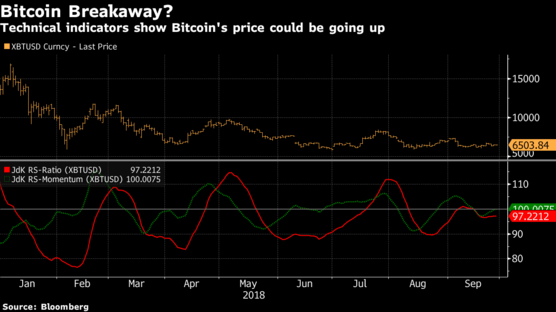 Bitcoin appears set for another bull run that could see it recover a significant portion of its lost value during the 2018 slump. An analysis of a technical indicator reveals a positive trend reversal for the top-ranked cryptocurrency. According to Bloomberg, the RIG trend lines indicator points to an imminent price rally for BTC. RIG trend lines are technical indicators that combine both the relative strength index (RSI) indicator and momentum studies. An examination of the indicator shows the momentum gauge intersecting the RSI gauge. When this happens, it is interpreted that a significant price rally is imminent. Whenever both gauges cross, BTC experiences a significant price rally. The last intersection occurred in August. 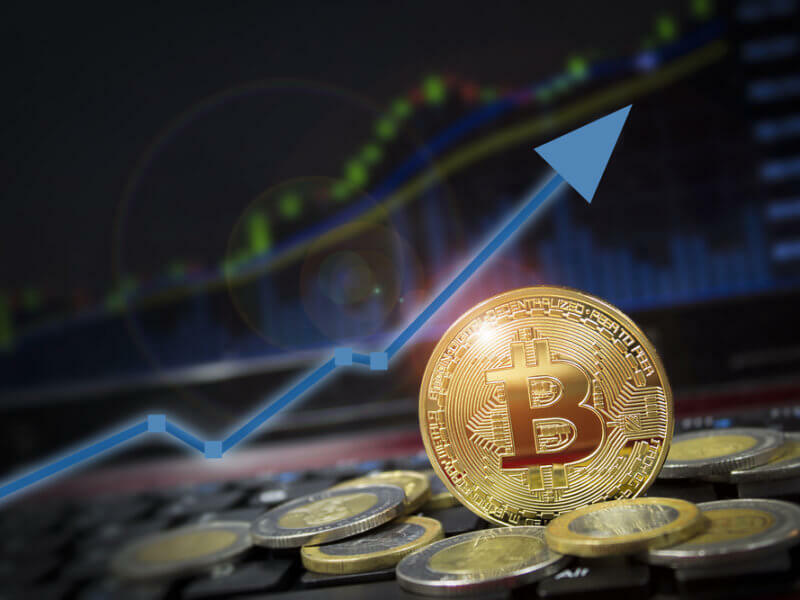 It signaled the start of an over 20 percent price surge that took BTC to above $7,300 by the beginning of September. If history repeats itself, then Bitcoin could be poised to test $8,000 by the end of October. 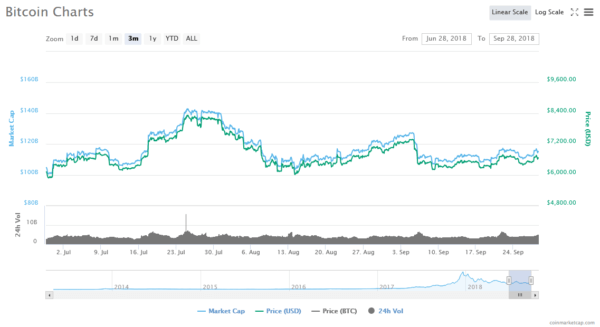 Bitcoin last reached the $8,000 price mark at the back end of July 2018. The cryptocurrency has floated between minor price surges and subsequent declines for most of the third quarter of the year. Bitcoin like the rest of the cryptocurrency market has declined over the course of the year. However, in the last three months, the volatility of the top-ranked coin has diminished considerably. Some experts predict that a price breakout due to this shrinking volatility is imminent. Bitcoin bulls will be hoping that their analysis of the RIG trend lines is accurate which would mean another bull run. Elsewhere in the market, there are recent signs of a price renaissance for many cryptocurrencies. Ethereum, XRP, and Bitcoin Cash have experienced significant price rallies over the last few days. Recently, Tom Lee predicted that Ethereum could reach $1,900 by the end of the year. According to the Fundstrat Global Advisors chief analyst, ETH has underperformed its top-ten peers by two standard deviations. Thus, a massive price surge is on the cards for the second-ranked cryptocurrency. In recent years, Q4 has brought with it significant gains for the cryptocurrency market. Many stakeholders continue to hold out hope that Q4 2018 would follow this pattern of rapid price gallops. What is your end of year Bitcoin price forecast? Let us know your thoughts in the comment section below.